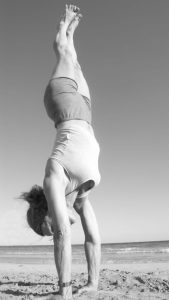 Centered yoga is Dona Holleman’s of the Iyenger yoga method. It comes for her personal experience of the teaching of her great, first and unique guru?B.K.S. Iyengar. Centered Yoga combined her? encounter with the philosopher Krishnamurti and sciamanic writings of Castaneda, from which Dona created her life philosophy and teaching. the respect of the body and of its natural anatomical laws, central. The Centered Yoga Teacher Training Course lasts three?years. The aim of the course is to increase the students in their abilities . It is a test to overcome the obstacle that hinder complete physical and mental freedom. ? stability and lightness in performing asanas.? The Vital Principles applied in these positions are rooting,?centering, alignment, lengthening. meditative state of mind, relaxation of the physical body and breathing. These poses prepare the students to develop their creative and artistic abilities, make the body plastic? and the mind elastic. Force that runs through it. In the 60’s Dona meets Krishnamurti: they have long, private conversations in Gstaad, Switzerland,and she learns from him the concept of meditative mind and total attention or the ‘not-doing’ of the mind, i.e. relying on the reptilian brain to perform the asana, which is opposed to the modern brain of thinking. While in Patanjali’s (Dhyana) Sutra this concept is the ultimate aim of the practice, for Dona it is just the start. Thanks to Krishnamurti, Dona will meet B.K.S. Iyengar and in 1964 and in 1969, she will travel to India to get the precious direct teaching Master-Student. He will teach her the traditional discipline and the hatha yoga’s physical techniques, thanks to which she will learn the Bodyscape and theElongating. 1964 and 1969, in the Netherlands, she sets up the B.K.S. Iyengar Yoga Work Group and she also begins to train teachers. In the 80’s, she dissociate herself from Iyengar international community, still following in both practice and studies the essentials of the training got from him and encouraging all his students to follow the pure and original tradition of his method. Her third principle, the Intent inspired by Castaneda and by Don Juan’s old shamanic wisdom, is the force that drives the Universe and that is used to practice the asana, visualizing what is still going to happen. With her friend and mentor Wanda Scaravelli, she studies in depth the breathing techniques and the bandhas: without them, an harmonious practice and a toned-up body would not be possible and yoga would only be a mere physical exercise. In 1980, Dona reads a fundamental book ‘The thinking body’ by Mable Todd, which will enrich and change her advanced practice. Another consequence is the birth of the fourth and the fifth Vital Principles of Centered Yoga,Rooting or the use of gravity and the rebound fource, and Centering. For the second principle, the Relaxation or ‘not-doing’ of the physical body, Dona draws inspiration from the Taoist concept of the wei-wu- wei or ‘doing-without- doing’. Aligning the body with the force of gravity and receiving its rebound effect, we can channel our energy to the hara (the center of the body), both up and down, therefore reducing the resistance of the ‘physical body’ and increasing the vital force of the ‘energy body’. This reaffirms the meaning of the word a-sana (posture without effort). In order to work, these Eight Vital Principles must be applied concretely and simultaneously, like white light through a prism, being split up into the colours of the rainbow. 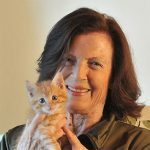 She comes to yoga at the Iyengar School in 1991 when she began a tightened practice with Sandra Bertana and Maura Sorrentino. She attends the summer seminars in France with Faeq Biria, prestigious teachers of Iyengar method. In 1994 she meets Gabriella Giubilaro and remains with her for eight years, attending the training course that finished in 2000 with the first level degree by Iyengar in India. In 2002 achieve the second level and the third in 2005. She attends seminars of Iyengar’s teachers of the American school, as Patricia Wolden and John Schumacher. Come back after her first trip to India, opens the Studio Yoga Dhyana in Rome, and joins the Light on Yoga Italy association. Patrizia takes part in seminars and lectures in Rome with Grace and Melloni, by which she knows Martine Le Chenic. Warning an imbalance between the texts of the teacher and the teaching practics in its name, she addresses her first students, including Angela Farmer and Victor Van Kooten. For two years she attends their summer seminars at the island of Lesbos. In 2008 takes place the significant and fruitful meeting with Dona Holleman. She attends the Teacher Training and graduated in 2011. In February 2012 promotes the establishment of the International Centered Yoga Association,headed by Dona Holleman, of which she is the vice president. Nowadays the Studio Yoga Dhyana has became the first school of Centered Yoga in Rome where Patrizia keep Teacher Training Course with the supervision of Dona Holleman. In 2000 I started to practic Iyengar yoga at the roman school of teacher Patrizia Gregori. Following Patrizia in her path of study and truth research about the practice of the teacher B.K.S. Iyengar, and thanks to her I come to Dona Holleman in 2008. This encounter will be fundamental for my practice and my life . 2008-2011 I start a Teacher Training Course to get the teacher certificate of Centered Yoga in 2011 and today I still follow and practicing the original spirit of yoga with Dona Holleman. In 2011 was fonde the International Centered Yoga Association, of wich I am a founding member and now an active member of the Board of Directors. December 2011 Certified in Centered Yoga Beginners February 2015 Certified in Centered Yoga Medium Level I In 2011 I opened the Centered Yoga Studio, the first school of Centered Yoga in Milan where I keep training teachers under the supervision of Dona Holleman. 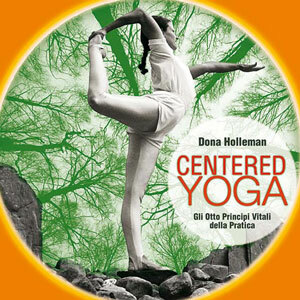 Centered Yoga is the name given by Dona Holleman sensei to the way she teaches yoga. Dona learned yoga directly from BKS Iyengar at a time before he was famous at all! She says some days she was the only student there for months at a time! who became a dear friend of Dona’s. Before all of that she had been a student of J. Krishnamurti, a philosopher and meditation teacher. Francesca is currently one of Dona’s most senior instructors. I can say from personal experience that she is an excellent teacher. She is able to transmit the high quality of Dona’s instructions in a very clear and understandable way. I highly recommend Frencesca’s teachings to anyone interested in deepening their understanding and practice of yoga! *Space is limited: Reserve ASAP to secure your spot.